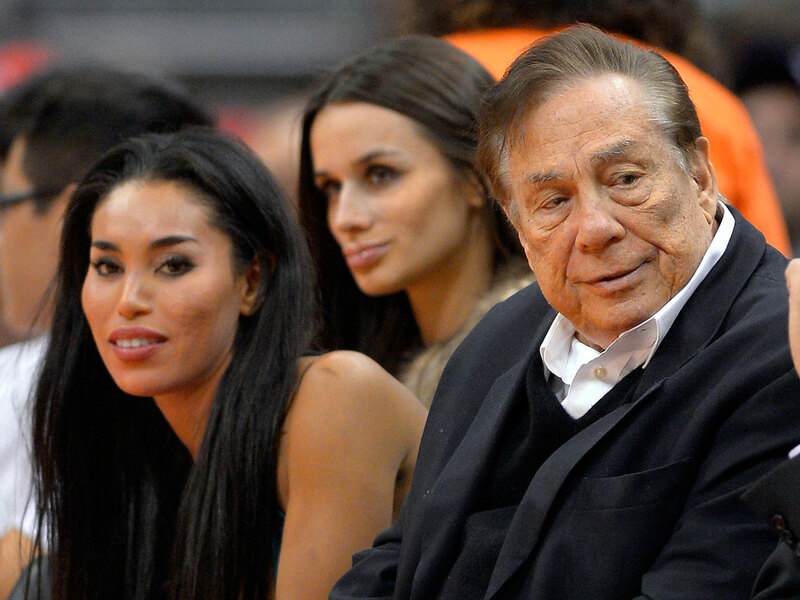 NEW YORK - A Long Island man was charged Tuesday with assault as a hate crime in connection with the alleged attack on V. Stiviano, the woman who recorded Los Angeles Clippers owner Donald Sterling making racist remarks. Dominick Dorio, 40, of Old Bethpage, was charged with assault as a hate crime, assault, harassment and aggravated harassment, the New York Police Department said. A second person is still being sought, police told 1010 WINS radio, according to CBS New York. Stiviano told detectives Monday that two men assaulted her outside a New York City hotel in Manhattan's trendy Meat Packing neighborhood. Stiviano said words were exchanged and she was punched in the side of the face, police said. Authorities have said they are investigating the possibility that the men used racial slurs during the attack. Stiviano has described herself as part black and of Mexican descent. "Detectives from the Hate Crime Unit of the NYPD interviewed her and are investigating the matter," Stiviano's attorney, Mac Nehoray, told CBS New York. Nehoray said Stiviano's face was red and swollen after the attack. Commissioner Adam Silver banned Sterling for life from the NBA and fined him $2.5 million after the release of the recording. Former Microsoft Chief Executive Officer Steve Ballmer has agreed to buy the Clippers for $2 billion, although the sale has not been finalized.